In a giant bowl, stir along the oats, flours, salt, leaven, bicarbonate, cinnamon and nutmeg. Cream along the butter and refined sugar till well combined. Add the eggs and vanilla and cream till light-weight and soft. Stir within the cut apple. Add the dry ingredients and blend till simply combined. Stir within the raisins. Preheat the kitchen appliance to 350°F. Line a baking sheet with parchment paper or a siloxane baking mat. Drop the dough by spoonfuls (about a pair of tablespoons for every cookie) onto the ready baking sheet. With damp hands, flatten the cookies slightly. Sprinkle the tiptop of the cookies with cinnamon sugar, if using. Bake for 9-10 minutes till gently bronzed and set. Allow to cool down for ten minutes on the cookware before removing them to a wire rack to cool down fully. 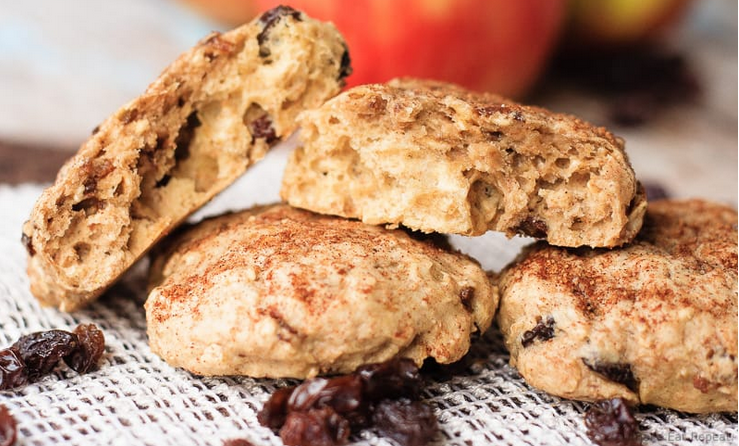 0 Response to "Apple Oatmeal Breakfast Cookies"